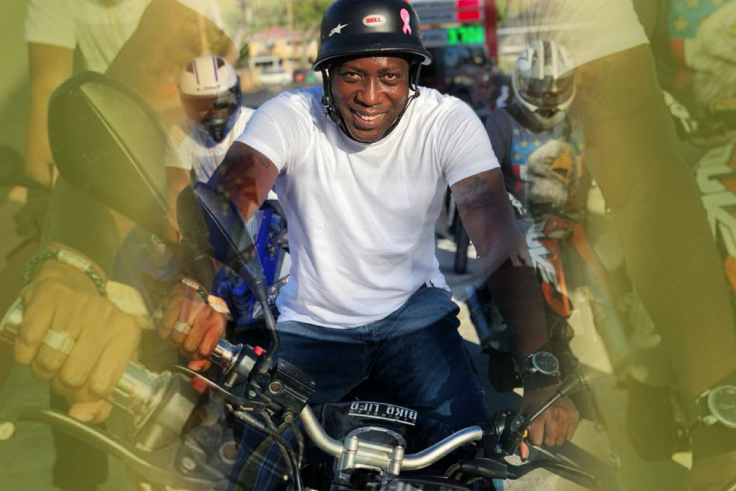 Government minister Myron Walwyn dons his helmet while spotted among the 284 Reverz biker group recently. Chairman-elect of the governing National Democratic Party, Myron Walwyn is riding a message of road safety for motorists traversing the streets of the British Virgin Islands. The government minister delivered the message while noting the road safety issues that exist locally, especially among motorcyclists and scooter riders. “It remains important for us to encourage them to adhere to the road safety laws and utilise helmets and other safety gear when operating these modes of transportation,” Walwyn said. The minister was pictured among a group of local bikers recently and described the group as exemplary motorcyclists. “I must commend the 284 Reverz organisation for the work that they continue to do to encourage motorcycle safety in the territory,” Walwyn said. His statements come months after a call for legislators to implement stricter penalties for delinquent scooter riders. That call came from police commissioner Michael Matthews who also said law enforcers were clamping down on the overall misuse of scooters in the territory. According to the New Yorker, a report has surfaced stating U.S president Donald Trump has used BVI offshore financial institutions to hide or laundered millions in shell companies. The report states a lot of this money came from Russia to secure Trump’s political support. Millions of US dollars are being hidden, belonging to trump, which he got from the Russians. My friends this is bigger than the Amorosa types! I can’t find it anywhere on their website. Can you provide a link? I cannot help but believe that, if this was true, it would be huge international news. Therefore I suspect that you may be mistaken. He talks about Donald Trump past deals going back to Putin of Russia. He states clearly the money trail went cold in BVI. Use google, Youtube and other online sources, all say the same thing. Trump and the Russians used BVI to hide millions as they both gain political leverage for future deals. The people whom work in the financial services every day see major names and corporations on their paperwork on a daily basis. They just choose to ignore any overall implications because they are financianially compensated for doing so. This is why slavery and genocide and war and the politics in the BVI and the business in the BVI and the healthcare and the education and all of it is all the same stuff, different day. We are one world forgiving each other’s corruption so long as it pays our bills and vacation and house and car. It isn’t going to stop just like that. It’s the same blind eye we turn to all the heavy hitters holidaying and buying islands around us and walking through like bosses because the BVI govt obligate themselves to serve other masters because they know who really pays them. This is big, and I don’t like to be the guy to throw water on a fire. It is why there is a push for Public Registers. Those who work in the financial services know this is going on. Almost every major power and corporation uses offshore jurisdictions for skirting tax and other legalities. Trump or anyone doesn’t necesarily direct where the money goes, it’s the firms and individuals they hire to manage their assets who do this because it is a “safe haven” for protecting their assets. This is business as usual in today’s world. Is there any group left to pander to? lol…..
“Motorcycle safety” Huh?? I see. Yet when scooters were being used to gun down and kill our people (both young and old) He didn’t find it fit to come forward and say anything…but there he is grinning …stupse the priorities in this place will never be in order. Ok. But when the law is enforced I hope that the said Minister et al. .do not interfere or obstruct the said enforcers of the law. All this talk about helmets and road safety for motorists but noone has addressed the issue of these same motorists wearing eye protection. In America it isn’t mandatory to wear a helmet but at the same time don’t ever get caught riding without eye protection. Prevention is always better than any cure. We don’t be driving around without windscreens so why have motorists riding without eyewear. Think about it. It is election season for sure. I congratulate the bikers who promote safe riders. That’s all I will say on this matter. SMART Mr. Walwyn. What you did that day, Captured the soles/mind/support of MANY young Persons. Why he didn’t do that five years ago? FFS what does this man think is important ? Sewage runs through the streets, derelict cars still litter the roads, the roads are a mess, and he —— about on a scooter – says it all….”No Direction Party” you have confirmed it! No vision, no plan, no proper priorities! Is this the same Sam who the NDP spent money on to prevent him from going blind? Watch me use my NEGATIVE ENERGY to change something POSITIVE into NEGATIVE. BWAHAHAHA! Look at how desperate for power F**** and his bloggers have are. Somebody just want to get their hands on the government treasury. Let him get his hands on it. If you all think we have problems now let fat boy get his hand on that money. We playing stupidy. We will feel then. Wah kinda a bow tie challenge is this? Girls ride with boys and boys with girls. Anything else is an abomination. Watch me use my super NEGATIVE ENERGY to change something POSITIVE into NEGATIVE. BWAHAHAHA! 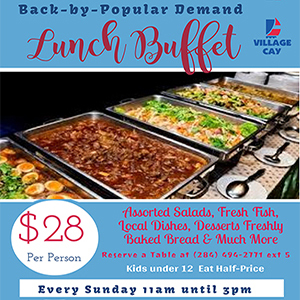 Walwyn is good for news in the BVI. He generate the most blogs. Andrew and his team soo scared of facing him in elections. That’s why they were busy campaigning for Ronnie to win the NDP elections. That didn’t happen so they all in defense mode now. Walwyn is the real MVP. You are 100% correct!! It’s very obvious to see what’s happening but we are backing Walwyn and NDP! The same here, I am backing NDP also.of course Myron generate the most blogs.Myron got it going on. Say what you want, what ever he wears be it sweats or suit, he always looks good and well put together.